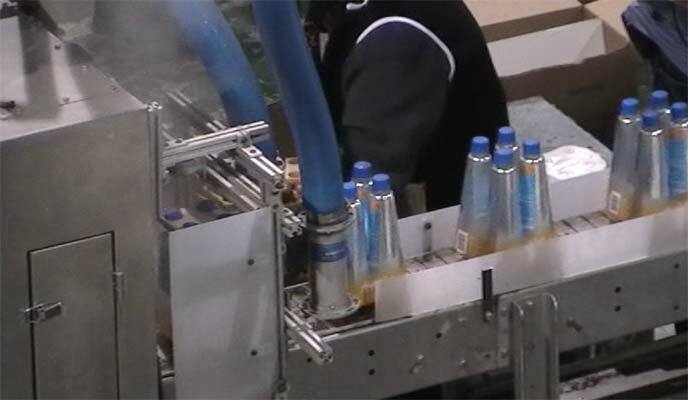 Steam Shrink Wrap Labeling Assembly Solution | Accel Inc. When you need shrink sleeve application, shrink sleeve steam tunnels, or any of our other similar services from Accel, you can do so with confidence knowing that Accel has you covered. We provide contract shrink sleeves and fulfillment services. Let us help you take your product from concept to shelf with speed and efficiency. Shrink sleeve labels are one of the hottest things going in the packaging world. Avoid long lead times and large order minimums for pre-printed products. With shrink labeling, you’re just in time with on the fly label changes. You will stand out against the competition with the unique aesthetics of shrink sleeve labels. Leverage Accel’s expertise to ensure your project is completed with the highest level of quality at the most competitive price. We know what we’re doing when it comes to sleeving, so let us run your project on one of our many lines. Our contract services are a great resource when you are not quite ready to invest in the equipment, have a seasonal promotion, test market launch, or need to decorate empty containers prior to sending them off to the filler/manufacturer.